Rock Stars? No way! « Think. Innovation. 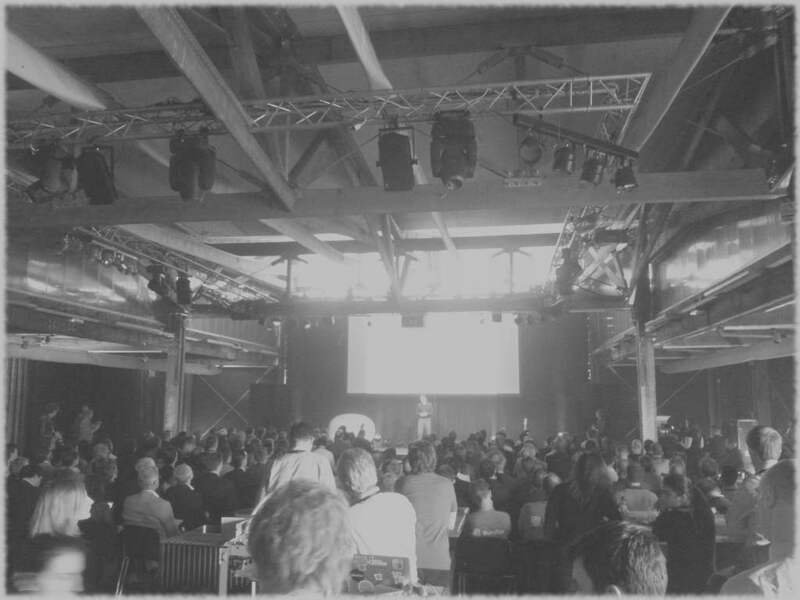 Having witnessed the first Rockstart Smart Energy Accelerator Demo Day in Amsterdam, I can conclude only one thing. Are these guys (yes, not a single girl, how unfortunate) rock stars? Well, their stage performance can lead me to only one conclusion: no way! I have only one word that adequately describes the start-up entrepreneurs on stage: Superheroes! Yes, being witness to the make-it-happen mentality of combining sustainability, innovation and profit is simply awe-inspiring. Best Demo Day I ever visited, including those in Silicon Valley. An overview of what happened there. This was the only truly disruptive start-up, in my opinion. These guys are going to shake up the home appliance market by offering appliances as ‘Product Service Systems’ (read up on Collaborative Consumption for the meaning). Goodbye Planned Obsolescence! Oh my… imagine the industry forcing itself to manufacture ever better, longer-living, stronger, cheaper, recyclable, energy-efficient machines! Why? Because finally they will have an incentive to do so! The profit will be in selling us more washes (with the same machine) than selling us more machines. Here the value of IoT and appliance-level (energy) data becomes very obvious. With the explosion of open hardware design and creation, these people need a kind of GitHub tailored to the specifics of hardware design. That’s Dreamups. Problem: value is lost in open hardware design and creation, because hardware engineers cannot effectively and efficiently share, collaborate and create together. I have no idea how they pulled this off… and I do know a something about technology. A small ‘Home box’ and a small sensor make it happen: accurate location pinpointing in your home. First value proposition: a bracelet for ‘fall detection alarm’ for elderly people. Yes, important. And boring. I can’t wait for a hackathon and get creative with this stuff! I hate to say it, but to me giveO2 is actually about keeping the current faulty system in place. So not disruptive at all, instead I called it ‘anti-disruptive’ (perhaps a bit too harsh). What is the problem? Well, a lot of people are not happy with their jobs. But their bosses want to keep them, so they come up with free massages, special fitness programs etc. Does this work? No! So what is the solution? Come up with another program: let’s play a game together by trying to behave as sustainable as possible in our everyday life (giveO2). Does that solve anything? I believe not. It is a surrogate, as these people will remain to feel miserable from their unsatisfactory jobs. I mean, how can an employee of Royal Dutch Shell ever come to feel happy by ‘behaving sustainable’ on the side, while his core job is ruining the planet’s ecosystems? Innovative: another try at behavioral change for more sustainable living, but this is actually keeping the existing system in place. So anti-disruptive. Innovation: uncool, but serious and business-smart in Renewable energy, necessary! Deplying a mesh network of sensors in a building for continuous fine-grained monitoring. IoT + Smart Energy in ‘optima forma’! Nice! The concept makes sense too: unhealthy working conditions are related to energy inefficient buildings. Fix both at the same time. So one of the biggest challenges towards sustainability is everyday behavior of everyday people (oh… really?). How to make ‘them’ do ‘that’? As people are not rational beings, but emotional, irrational, herd followers (sorry, it’s called ‘social proof’), worried more about status and concerned about what this random person said the other day. Well, some serious applied ‘behavioral psychology’ of course. Make it easy, accessible, make it about social proof, status and reputation. That is The City Game. I’m not sure why they are approaching the thing city-by-city, but they must have a good reason for that. Let’s play! Problem: people could easily behave more sustainable, but don’t, because of: it feels like a “drop in the ocean”, they forget, they have no time etc. 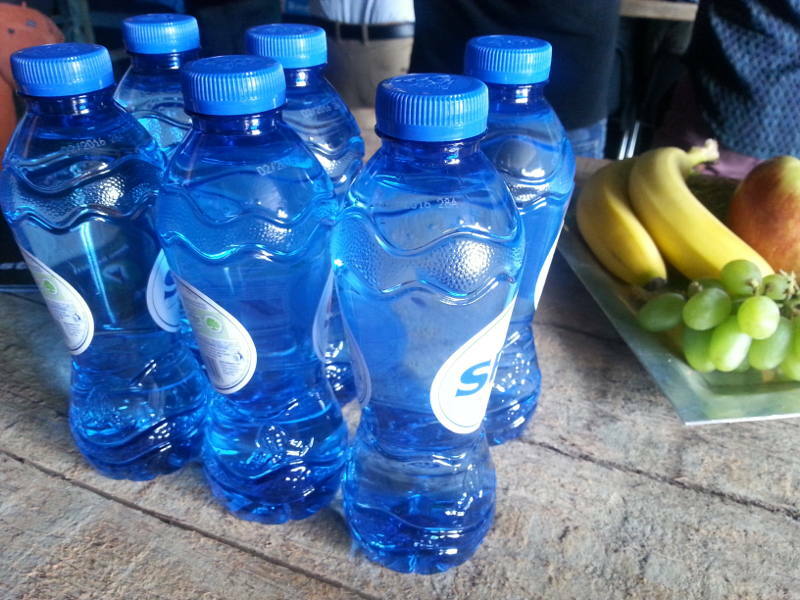 If Smart Energy has anything to do with striving for a sustainable future, then why serve bottled water…? The fruit and snacks were great!